New on display in the kitchen department is a stunning glass splashback in a Retro design of concentric circles. Opticolour manufacture a huge range of designs including flowers, wall paper patterns and plain colours suitable for splashbacks and wall-cladding in both kitchens and bathrooms. You can also bring a photo of anything you like, landscapes, family, prized possessions etc. 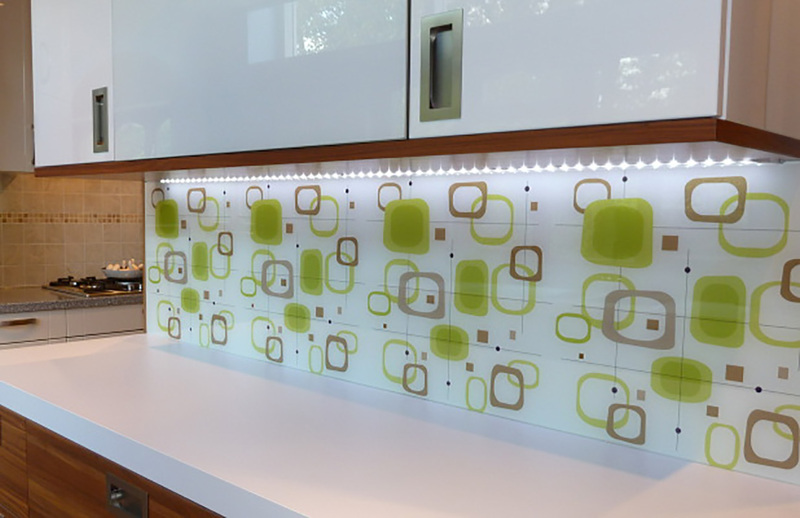 which Opticolour can digitally imprint onto your splashback for you.